Besides WTUG-127, described as "absolutely brilliant" by many of our customers, two more products are now in mass production : WTUG-C1, a transponder with a card form factor, and the revolutionary WTUG-132. The new microstrip antenna, developed and patented by Wisteq, is the core of our WTUG-132 transponder that works well on all carriers, including metals – something that used to be a problem for many RFID tags. 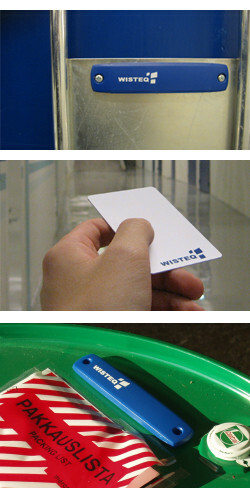 The new reusable RFID Tag by Wisteq combines the new microstrip antenna design to the Gen2 technology, and provides additional memory capacity. With our thorough design for assembly expertise, this transponder will take reusable and rigid RFID tags to the next level. In terms of versatility, durability and cost-efficiency, the latest additions to our product family without a doubt challenge RFID tags alike in the market today.